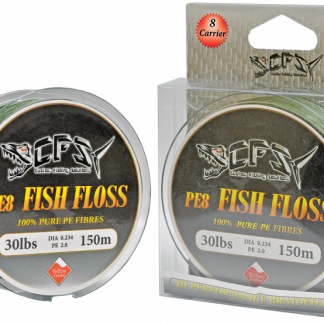 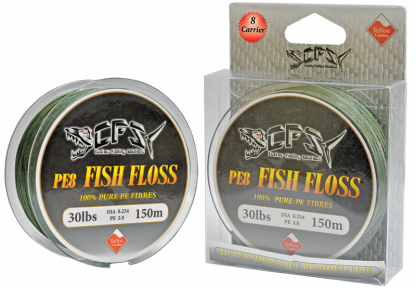 CFS Fish Floss Braid is made from 100% pure PE Fibre material from the U.S.A. to produce one of the World’s finest and thinnest lines. 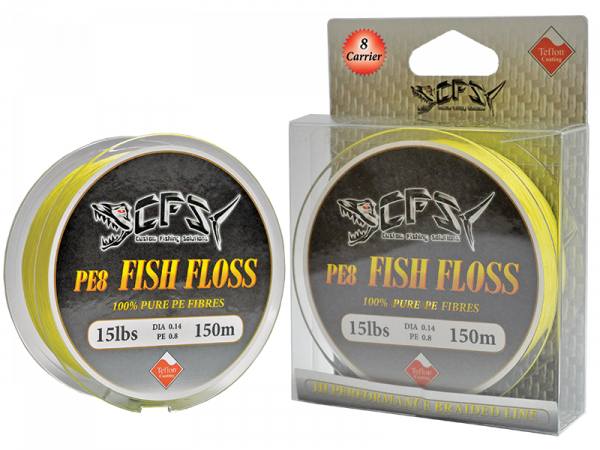 It is a high performance 8 Carrier Braid that features a rounded body construction that helps reduce wind knots, backlashes and rod tip wrapping. 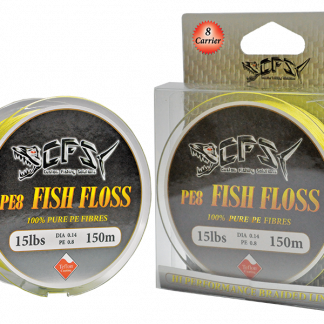 CFS Fish Floss Braid also features an advanced Teflon® coating that produces a super slick finish that reduces rod guide friction, increases casting distance out of sight, offers amazing abrasion resistance, helps to resist saltwater penetrating the fibres and helps hold colour retention. 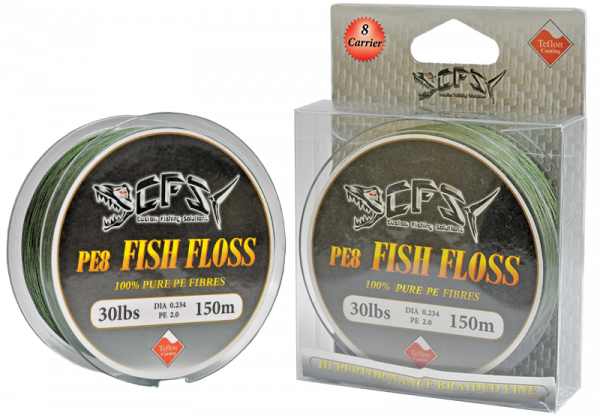 It also features an extremely low stretch core for superior hooking power, sensitivity and control.